The epithelial Na+ channel (ENaC) is a heteromeric channel composed of three subunits (α, β, γ). At the C-terminus of each subunit, a PY-motif allows binding of the ubiquitin ligase Nedd4-2 which plays a key role in promoting ENaC retrieval from the plasma membrane. Phosphorylation of Nedd4-2 by the serum and glucocorticoid-inducible kinase 1 (Sgk1) reduces Nedd4-2 binding to the PY-motifs. In β and γENaC, threonine residues (βT613, γT623) belong to an extracellular signal-regulated kinase (ERK) motif and directly precede the PY-motifs. Thus, phosphorylation of these residues may modulate the interaction of their adjacent PY-motifs with Nedd4-2. In this study, a phosphospecific antibody was used to demonstrate phosphorylation of βT613 in Xenopus laevis oocytes heterologously expressing rat αβγENaC. Treating the oocytes with progesterone to stimulate ERK increased phosphorylation of βT613. Inactivation of the putative phosphorylation sites by mutating both threonine residues to alanine (βT613A/γT623A) increased ENaC-mediated amiloride-sensitive whole-cell currents (ΔIami) and expression of βENaC at the cell surface. Co-expression of Nedd4-2 largely reduced ΔIami in oocytes expressing αβγENaC or channels with mutated PY-motifs in α and γENaC or in α and βENaC. Importantly, the inhibitory effect of co-expressed Nedd4-2 was largely reduced in channels with mutated PY-motifs in α and γENaC when combined with the βT613A mutation but conserved in channels with mutated PY-motifs in α and βENaC combined with the γT623A mutation. These results suggest that phosphorylation and dephosphorylation of βT613 play a prominent role in regulating Nedd4-2-mediated ENaC retrieval from the plasma membrane. Bettina Krueger and Limin Yang contributed equally to this work. The expert technical assistance of Celine Grüninger, Christina Lang, Sonja Mayer, Lorenz Reeh, Jessica Rinke, and Ralf Rinke is gratefully acknowledged. Part of this work was published in abstract form (Krueger et al. 2012, Acta Physiol 204 [Suppl. 689]: P270; Krueger et al. 2016, Acta Physiol 216 [Suppl. 707]: OS10-5). RR and CK initiated, planned, and coordinated the study. BK and LY performed the experiments. BK, LY, and RR designed the experiments and analyzed the data. BK and LY drafted the manuscript, RR wrote the paper, and CK revised the paper. All authors approved the final version of the manuscript. 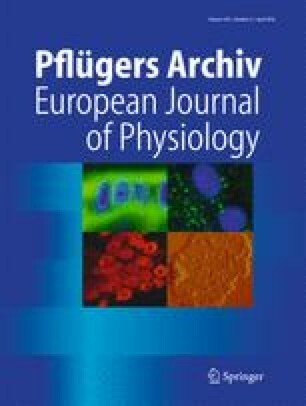 This work was supported by Deutsche Forschungsgemeinschaft Grant SFB423 (Kidney injury: Pathogenesis and Regenerative Mechanisms, Project A12 to CK) and by Johannes und Frieda Marohn-Stiftung of the University Erlangen-Nürnberg (to RR).